Well, What is a dragon? You may ask. A traditional Chinese dragon has a face of a boar, teeth of a tiger, ears of an ox... if you want more info on Chinese dragons click here. In Medieval China if you had a clothing, a picture, a scroll, a statue and anything with a 5 clawed dragon on it your head would be chopped off. Did you know that the whole world is a dragon? 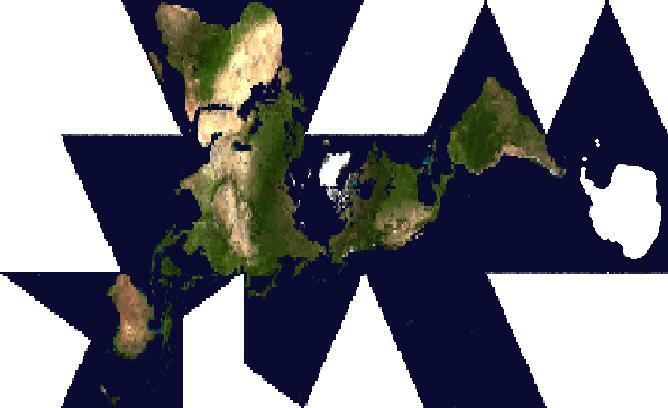 A dymaxion world map (Look Down) makes the whole world a dragon (except Hawaii), South America is the head, Antarctica is the Steam from the nose (The south tip of South America), Perth, Australia is the very tip of the tail and Africa is the wing. But I think it looks more like a Crane. Also it is Confucius' Birthday today.